In a world where there seems to be a new major blockbuster every other week, for many returning to a galaxy far, far away is still special. This will be spoiler free, but I was very excited to return to the battle between good and evil played out among the stars. This excitement, however, is tempered by the sadness of knowing I’m going now to have to say goodbye to a certain Princess turned General. In Rogue One, a film that made me cry so much I had a headache afterwards, seeing Carrie Fisher’s CGI appearance as young Leia at the end so soon after her death had me finding new stores of H2O to cry some more. I could probably write epic odes to Carrie Fisher, a woman who was unafraid to speak out even when it hurt, and who was unapologetic about her flaws and inspired many with her wit and wisdom. But before I even knew about Carrie Fisher I loved Leia. Being a little girl who loved princesses, I suppose it’s natural that I gravitated towards Princess Leia as a child. I was awed by this space princess who got a rebellion instead of a marriage, and that love for the character never really went away. For everyone else like me out there who isn’t ready to say goodbye to either Carrie Fisher or Princess Leia, I hope we can continue their legacy; I hope we can continue to speak up, talk back, fight for what we believe in – whether it’s mental health, sexism, or all of the above and more, and keep on smashing the patriarchy. Carrie taught us to speak up, talk back and fight for what we believe in. Now that she’s gone, I hope she didn’t just teach, but that we learned. I want to see Star Wars honour her legacy with a steady stream of complex female characters – characters that can be heroes without being perfect, that we can love for their supposed flaws rather than in spite of them. The new trilogy seems to be doing a slightly better job with Rey and Maz, The Last Jedi’s Rose Tico and more female characters rumoured to be introduced, so we can only hope that Carrie and Leia leave a legacy of new and compelling female characters behind. If you want to share one more adventure with Leia, I recommend the graphic novel Star Wars: Princess Leia. With her home planet Alderaan destroyed and the rebellion won, Leia looks for a place for herself that isn’t an inactive figurehead. 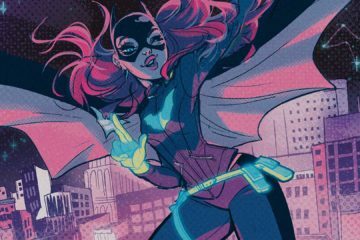 Tackling the frustration of being side-lined and underestimated, as well as the search for meaning after losing her parents and her planet, it’s a fun comic with emotional complexity. Also interesting is the exploration of women working for the dark side, ones with motivations and characteristics beyond being devilishly British. If Captain Phasma, the mysterious and commanding high-ranking officer played by Gwendoline Christie, intrigues you, you’ll be pleased to know she also has her own comic. Following Phasma’s escape from Starkiller Base, Star Wars: Captain Phasma is written by the excellent Kelly Thompson. She’s the author of the recent female-led Jem and the Holograms, Hawkeye: Kate Bishop and Captain Marvel & the Carol Corps, all of which I recommend, and both the character and the writer are excellent additions to the Star Wars canon. Finally (for now), the Darth Vader comics brought us the fascinating Doctor Aphra, a morally grey droid engineer who becomes Vader’s companion for side adventures that tie in with the events of the original trilogy. A mechanic for hire and a genius who might be killed at any moment by her cloaked travelling companion, Aphra provides humour and interesting dubious ethics in a universe where everything is usually black and white. She proved so popular she had her own series commissioned and you can continue to follow her adventures in a post-Vader world in Star Wars: Doctor Aphra. I hope the same for all the female characters we get: that they’re complex, and have flaws and motivations and keep doing what they’re doing anyway, with character growth, depth and development. Sometimes it seems an unrealistic expectation to have, even in a universe with a quasi-religious order who move things with their minds, but Carrie would want us to keep going. Whatever happens in the last film in this new trilogy, it will be time to let go of Leia as we did Carrie last year. I highly recommend reading her own writings, such as her behind-the-scenes memoir The Princess Diarist, to learn more about this brilliant woman. So, goodbye Carrie – drowned in moonlight, strangled by her own bra – and Leia, our Princess and General. Thank you for helping to usher in and inspire a new generation of brilliant women. May the force be with all of them, and all of us. 1. 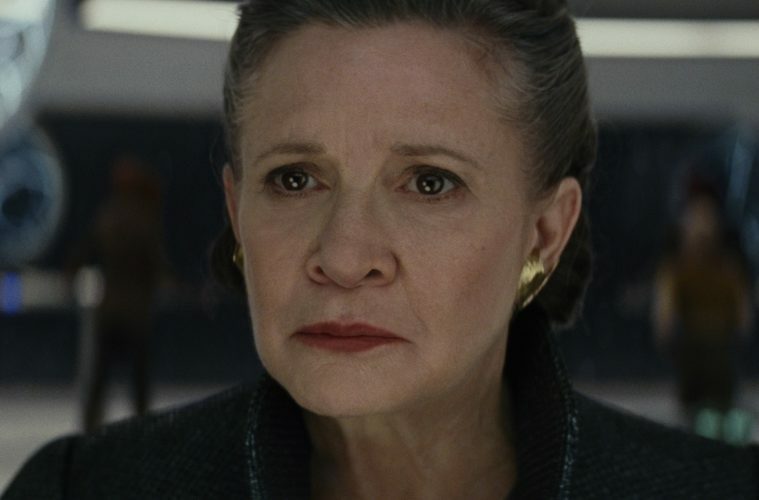 Cover image: Carrie Fisher as Princess Leia from The Last Jedi (Image used under fair dealing from Star Wars’ official website, http://www.starwars.com/films/star-wars:-the-last-jedi-gallery). 2. 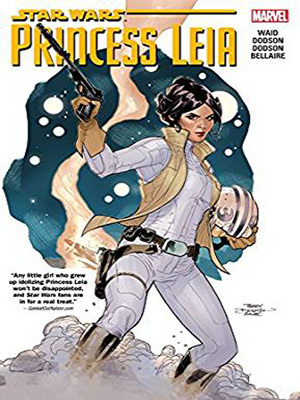 A cover of Star Wars: Princess Leia, with the title in bold. A woman in a white jumpsuit, beige waistcoat and gloves holds a helmet in her left hand and a gun in her right (Image used under fair dealing from Star Wars’ official website, http://www.marvel.com). 3. 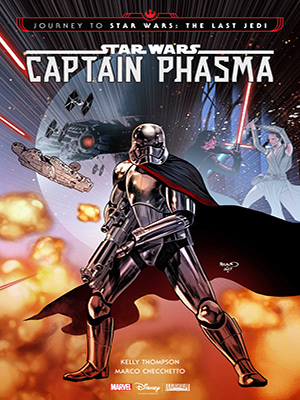 A cover of Star Wars: Captain Phasma, with the title in bold. A person in metal armour and a black cape holds a large gun, with star ships in the background. (Image used under fair dealing from Star Wars’ official website, http://www.marvel.com). 4. A cover of Star Wars: Doctor Aphra volume 1, with the title in bold. A woman wearing jeans, a white t-shirt and a jacket has her left hand on her goggles on her head and her right hand on her gun at her waist. Next to her are two dark droids and a wookie. (Image used under fair dealing from Star Wars’ official website, http://www.marvel.com).